If you put some kinde lid on the drums, it will keep mosquito out and prevent a breeding ground. An air stone in a tote would be enough to keep the mosquitoes out, their larvae won’t survive even small movements of the water. 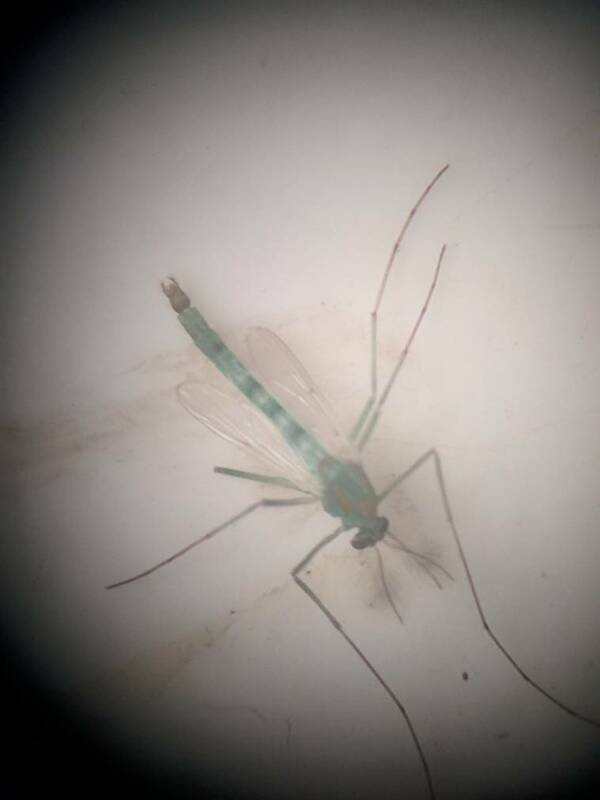 The Gnats on the other hand don't mind moving water, most species of gnats – even gnats that bite humans – are not known to carry disease vectors. However, the eye gnat has been linked to the transmission of conjunctivitis (pinkeye) in both humans and livestock. Your 2 x 55 gallon drums could become Mosquito breeding grounds unless they were sealed off. Hey Joblow, I think you are dead right. 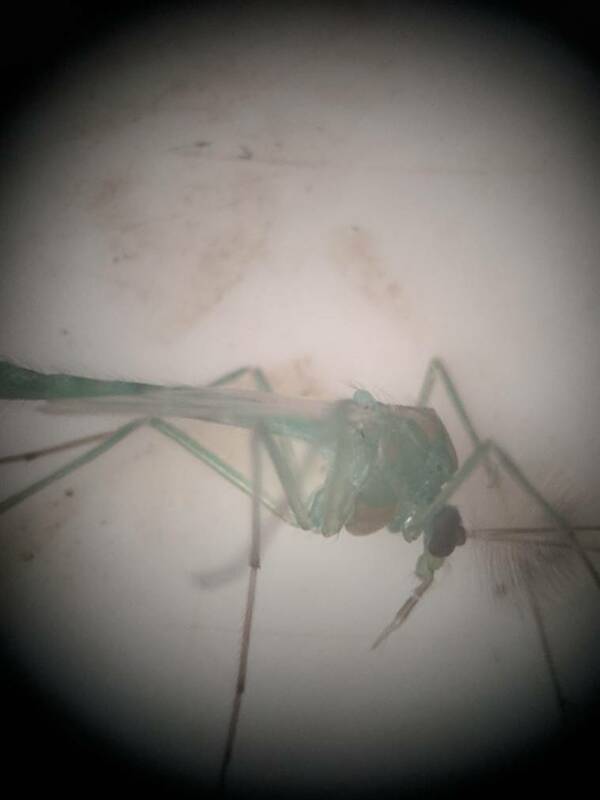 I think they are Chironomid midges. None biting. 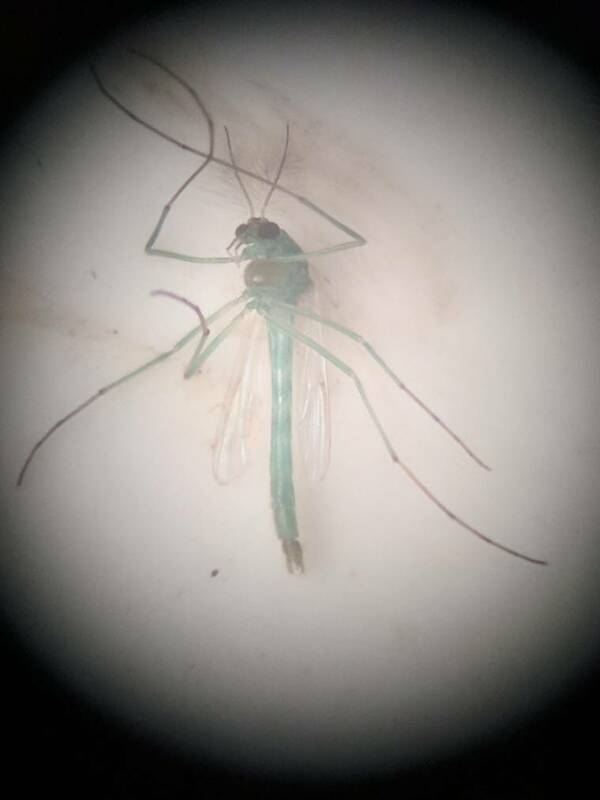 Some pics attached, sorry bit crappy as they were taken using my phone down my microscope. Yeah, no stinger and not blood sucking, but still another pest that you don't need. I also thought mine were Mosquitoes until someone on the forum told me they were Gnats. Someone needs to tell the mosquitos here they can't live in moving water. Dr Fish sometimes the insects you find in and around your system are harmless and sometimes beneficial. I wouldn't worry about them if they aren't affecting the plants. They will probably attract beneficials into your garden. True, I've already noticed a few changes. Birds seem to be taking an interest in the GBs out the front. I'm just concious of upsetting the family and neighbors with an increase in mosquito bites. So far so good, midges I can handle. Well it's been 2 months since switching my system on and I thought I would give you all a bit of an update. In short, the set up has not blinked and is working well from a hardware perspective. Water quality seems good. With the 20 fingerlings in with no deaths. 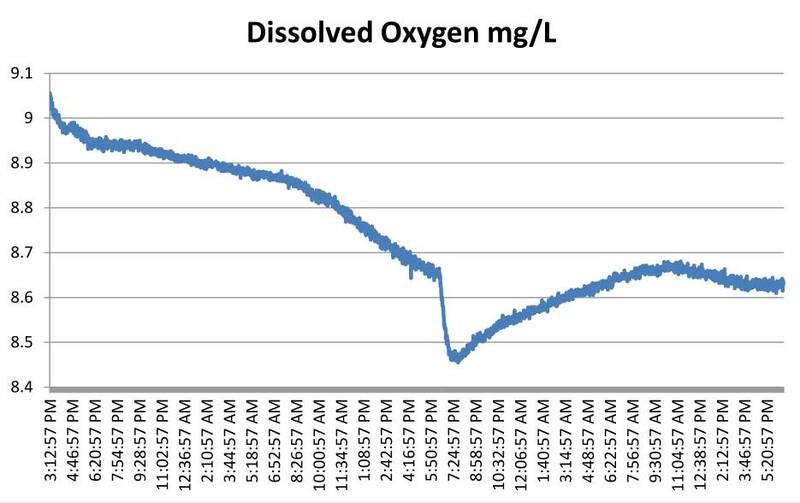 Dissolved O2 is currently sitting between 8.4-9.0ppm/mg/L and seems to sit there fairly constantly. Water temp over the past 2 months has ranged from about 20-24 deg C, but it's not exactly been a very hot summer. With respect to nutrient levels, I've not seen much in the way of nitrite or nitrate. I'm using a Tetra EasyStrip test. I did get a small reading for nitrite a couple of weeks after adding the first 3 fish, but it quickly subsided. On that note, I don't think my plants are getting enough nitrate. I'm not exactly getting vigorous growth and there is some yellowing of leaves on some plants. 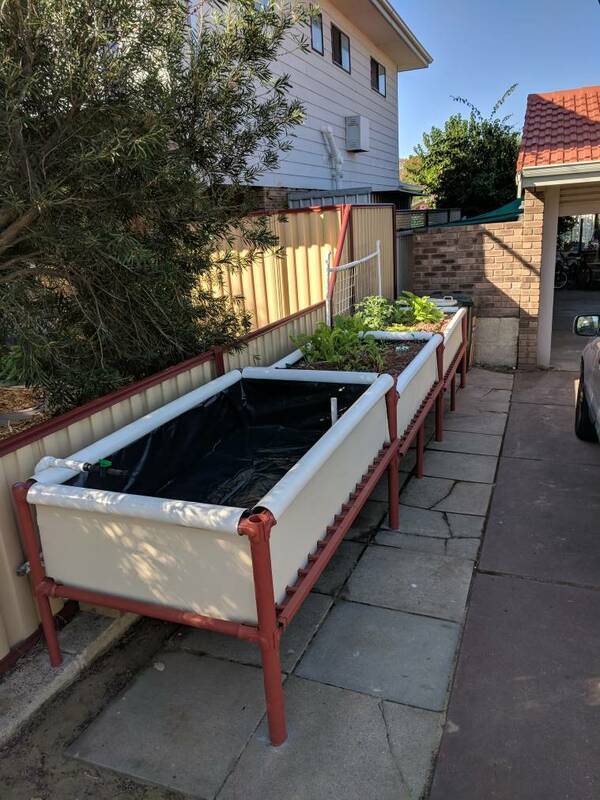 Any advice here appreciated, but I do need to read up on this side of the aquaponics equation. Today I finally finished the third GB! This one is destined for DWC. I just need to plumb it to the existing pipework. Are you adding seasol or anything else ? Fish may be a bit small at present and new system wont have much built up in bed media. White Seasol (original in white bottle) can be added regularly as it has low P & N.
If you want a little bit of P & N then use Seasol Powerfeed (green bottle). But keep an eye here because it will get added as urea/ammonia so must cycle. 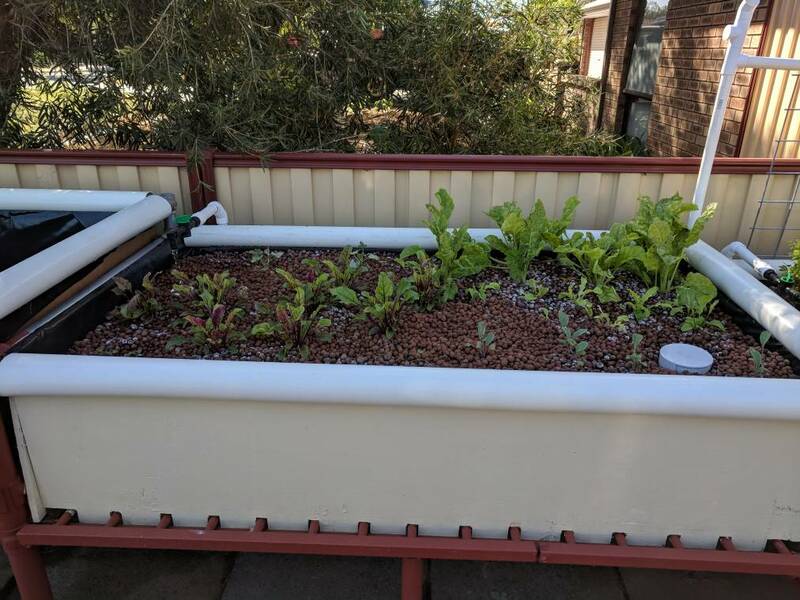 My preference is to mix up in a water can and water the grow bed and plants directly. Bit more forgiving if the mix is a bits strong. Saves having it darken up the fish tank - but some here add direct as your will read on some threads. Hi Darren, thanks for that. Yes, I've got the white seasol, but I've been reluctant to use it too much. I've been adding a couple of capfulls in a watering can once a week. I've got some powerfeed as well but only used it for the first time last week. Should I up the seasol dose? There are some plants that go well in new systems and others that don't. Sometimes it's better to replant than to nurse a plant. There are some on this forum that only add fish food and have great growth and others that filter, mineralise and dance in the AP under a full moon and get great growth. Me, I'll chuck a couple handfuls of blood and bone on occasionally and the system just chugs away with fair growth. It looks after itself now and my water test is whether the fish are hungry or not. I refuse to dance under a full moon. Your system is stunningly beautiful. Just thought I'd give that encouragement before doing a +1 on both dlf_perth's and Skeggly's suggestions. Thanks guys. Generous of you to say boss. The system is certainly compact, but it will be interesting to see over time some of the practicalities of doing maintenance on it. The FT, Sump and filters are pretty snug in the trench. I'm thinking this does provide some temperature stability though. We've just had a couple of days of 32 deg C and the water temp has sat at about 22-23 deg C.
I now need to build a raft for the DWC GB. 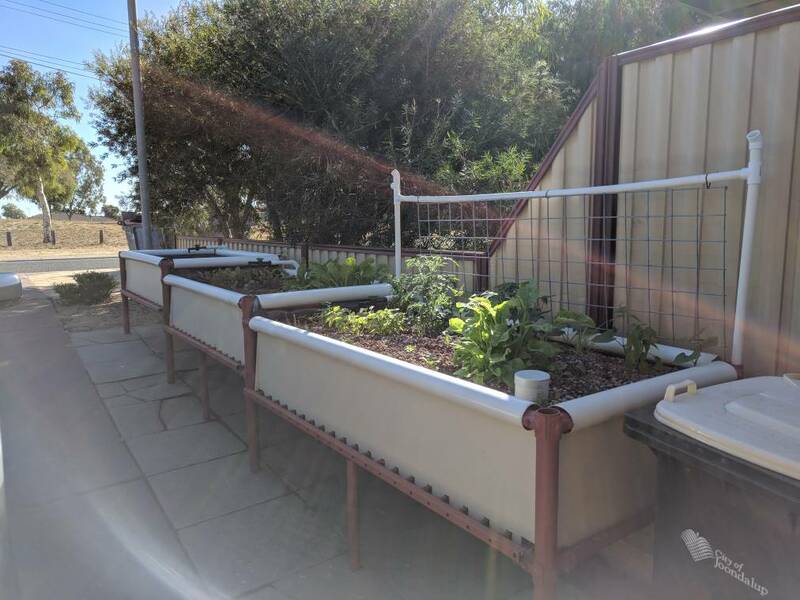 So far from reading up on here I like the idea of using sealed PVC pipe frames to float on the water with some sort of plastic cover. Wondering about the weight of the raft once mature plants are growing in it though. I don't like the idea of buying styrofoam full stop. that is a good sign. Leafy greens will always respond best in a new system and will get most benefit from small amounts of supplement. If going to water can and on to media you can put a decent splash of seasol in the can. But keep an eye on ammonia, nitrites and nitrates if doing this - test a day or so after adding. I am also with skeggley on the blood&bone (get the "with added potash" as you get some K then). This mostly benefits flowing plants and if added to bed will break down gradually - particularly if you watering can using water from the fish tank/sump every now and again. Early on take a go at some of the cheap seedlings at bunnings. Things like boc choy etc will go well this time of year. and you can get 6-8 punnets for couple dollars [look for ones with multiple seedlings in cells and wash soil off]. I would stay away from tomatoes etc and anything that flowers/fruits for time being as these will be nutrient hungry. Worms will probably get in to the system fairly quickly but if you want some let me know - they breed pretty quick. Hey Darren, great feedback thanks. I do have two tomato plants that look good. I'll leave them for now. Just for interest sake I'm posting a graph of my DO levels for the past two days. 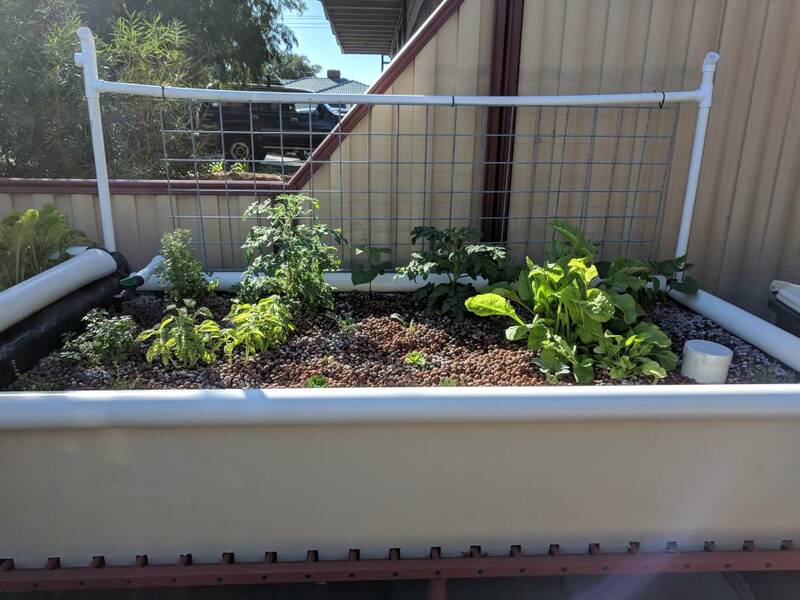 Basically, I turned the grow beds off at 3:12PM for 24h while the glue set after plumbing in the water supply and drain to the DWC bed I just finished. The GBs we're left full to keep the plants happy. I wanted to see what the DO did while the system was just running as RAS. I got home at 5:50PM the next day and turned the GB taps back on. As you can see, this resulted in a 0.2 mg/L drop in DO at the probe site (in my RFF). I assume the water sitting in the GBs all day has become slightly deoxygenated and this has mixed with the rest of the water. The DO recovers, but not to the starting level. Obviously, the overall variation in DO is minor, but just thought I would post it for interest. I should probably record for longer to observe trends, but I've just been using it to spot check the DO. >> if you want some let me know - they breed pretty quick.